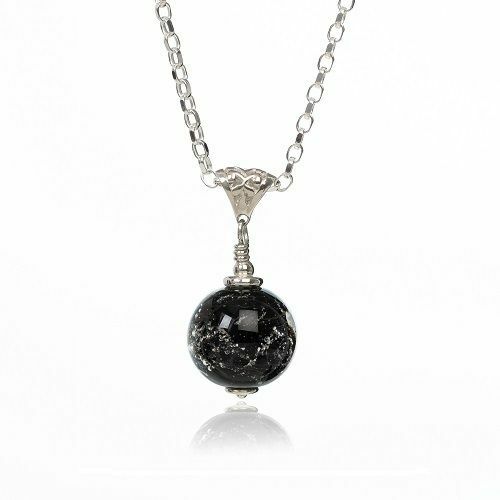 The Ashes display like the night sky with a thousand sparkling stars, this intense Black adds a touch class and is the perfect colour for a dress up or casual look. 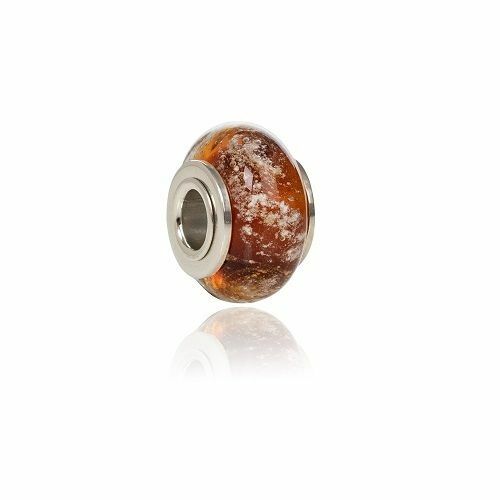 Individually hand-crafted using the Ashes you provide, a small amount of your loved ones ashes will be carefully sealed inside the glass forever by our own skilled glass artists in our Berkshire studio. 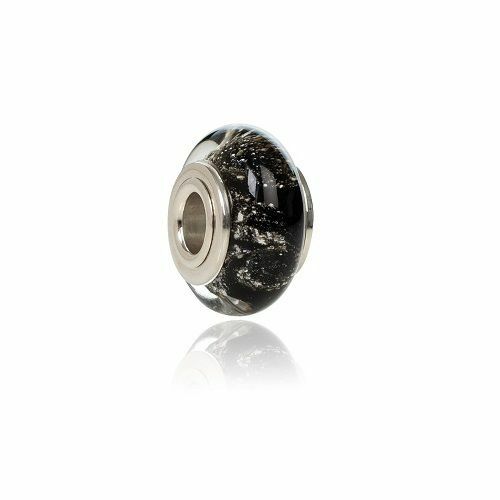 When you place your order you will be sent a Free order kit in the post with full instructions, a re-sealable packet for the ashes and return address envelope to send them back safely. 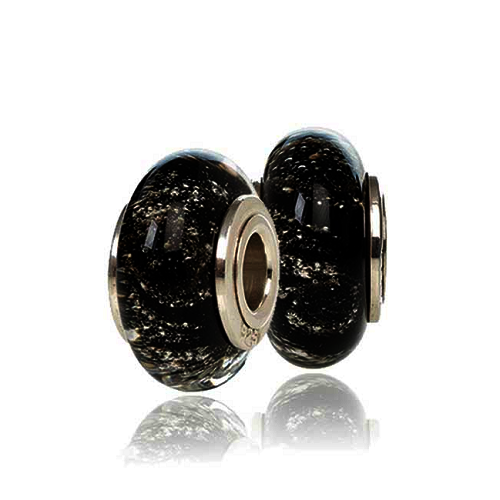 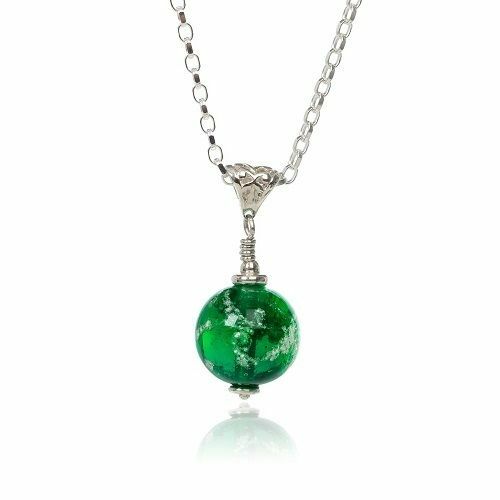 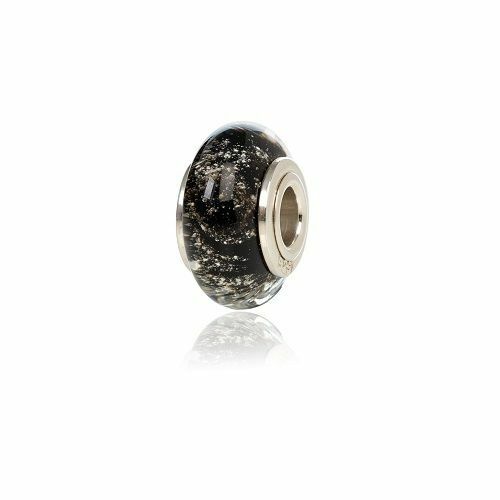 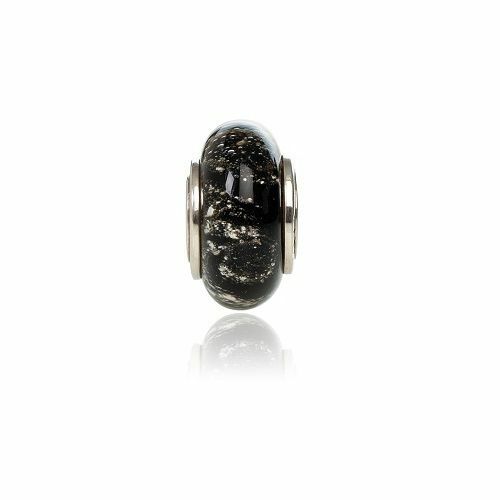 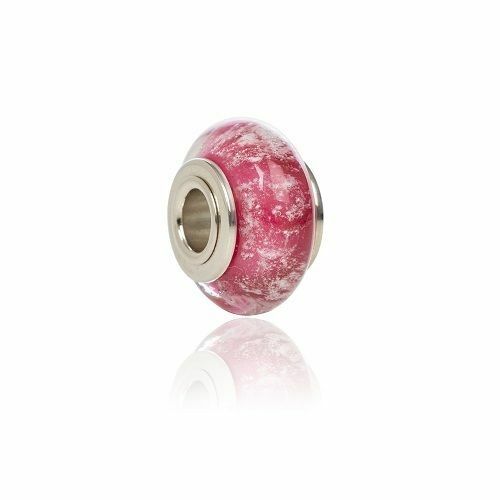 This Charm Bead is fitted with a Sterling Silver core with a 4.5mm opening and fits the popular Pandora brand amongst others. 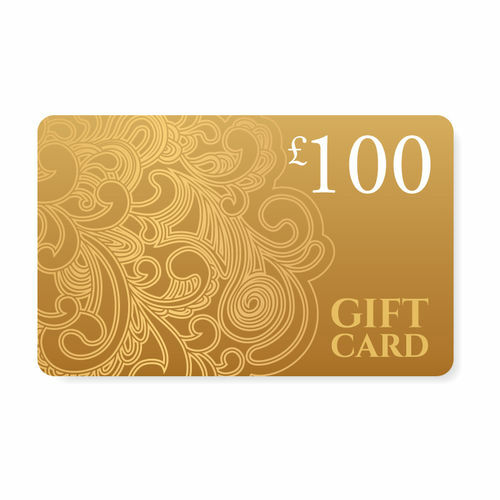 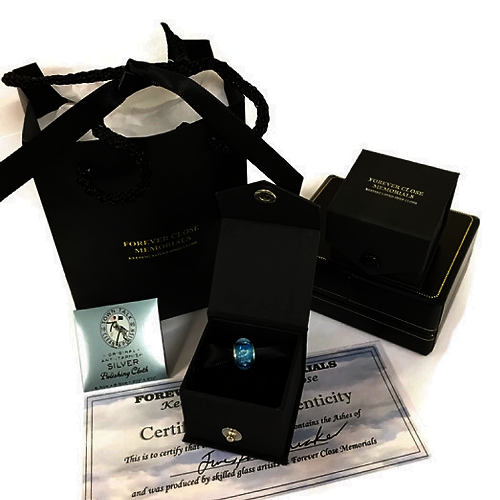 Comes with a free Polish cloth and Aftercare instructions in a presentation box with a Certificate Of Authenticity, A beautiful keepsake for yourself, family or friends.